Meanwhile, my search for a graphite developer continued. 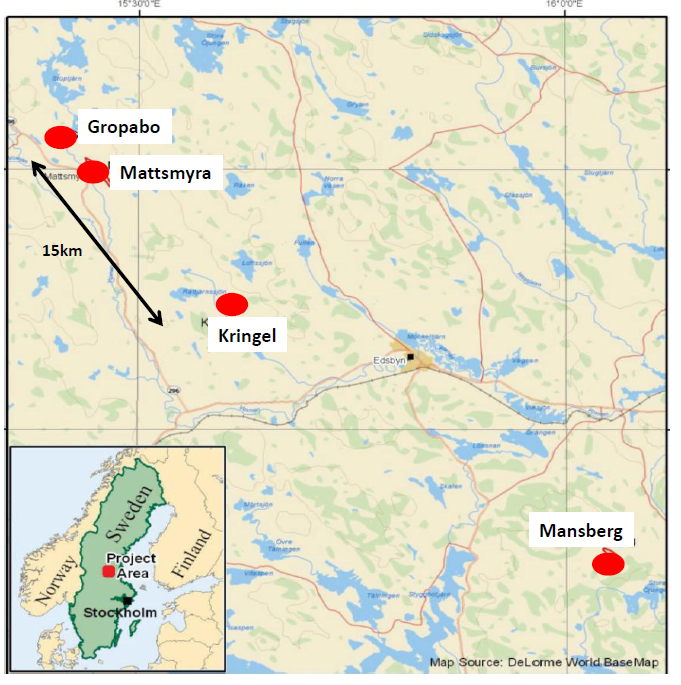 In the early spring of last year I was approached by a couple of geologists and alerted to a capital pool company that was acquiring their option on a mothballed graphite mine in Sweden. Finally I had found the early-on deal that met my investment criteria (Mercenary Musing, December 15, 2008) and speculative dollars were committed in August 2011. In early 2012 this company morphed into Flinders Resources Ltd (FDR.V); it has been a very good speculation for me. By late 2011, there was a buzz on Howe and Bay Streets about the graphite game and speculators were starting to stir. For a brief while it seemed every snake, shark, charlatan, and shyster occupying an office within sailing distance of Coal Harbor was floating a graphite play. From just two companies in mid-2011, there were over 40 listed on the Toronto Exchanges a year later. Then came the downside of the price parabola and the numerous Johnny-come-latelies are now left holding the bag for tax-loss season. That said, the three public companies discussed above remain sharp pencils in graphite space. There are a handful of others with recent geological discoveries but at this stage, only a couple can be classified as potentially advanced explorers or developers. Over the course of the late summer and early fall, I toured the flagship properties of Flinders Resources, Focus Graphite, and Northern Graphite and report on these visits herein. My first stop was in central Sweden at Flinders’ 100% owned Woxna graphite project. This fully permitted and financed mining project is located in central Sweden about 300 km northwest of Stockholm. It encompasses four graphite deposits including the Kringel mine, which produced graphite from 1997-2001. In addition, the company owns concessions covering 60 km of strike length of a favorable geological horizon with many known graphite occurrences and geophysical targets awaiting exploration. I toured the project in August in the company of CEO Martin McFarlane, process engineer Don Pettersson, consulting geologist Lars Dahlenborg, general manager Folke Soderstrom. Office manager Astrid Soderstrom provided logistical support.